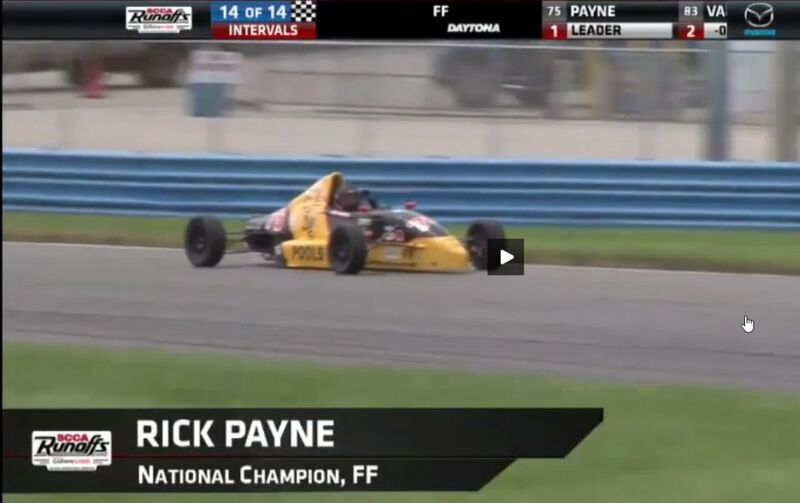 September 27, 2015, Daytona Beach, FL — In an incredible performance, local Formula Ford racer Rick Payne came from tenth place to win the Formula F National Championships at the SCCA Run-offs held today at Daytona International Speedway. Rick managed to survive a fierce battle highlighted by a number of accidents that claimed four of the top twelve starters. 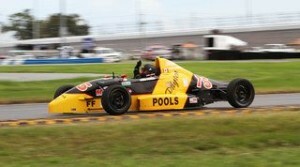 On the final lap, Rick slingshot past the two leaders and held on to win the most prestigious title for Formula Ford racers in North America. Congratulations from all of us at SCCBC! For more on the race and Rick’s tremendous victory, see this SCCA article, or you can watch the entire race at this location.